Is the President’s mental state is unraveling? In this talk I will discuss why it is crucial for us to address this question, and to understand how our responses may influence the way we maintain clinical efficacy working with patients who may either agree or disagree with our concerns. The task of mental health professionals is to point out when psychological abnormalities become dangerous enough to threaten the public’s health. We therefore must be clear: Donald Trump’s observable emotional instability could cause him to take unpredictable and potentially extreme measures to distract from the growing challenges of his presidency. Violent acts are usually the end product of a long process that follows well-recognized patterns and a consistent history. We make predictions based on unacceptable levels of probability, not on certain outcome. 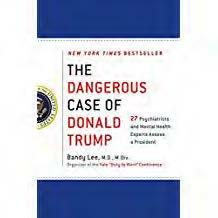 While a psychiatric interview can contribute to the assessment of dangerousness, a more reliable predictor of violence is past history, that might include cruelty to animals, poor impulse control, self-preoccupation, access to weapons, broken relationships, seeing oneself as victim, lack of compassion, and disregard of the consequences of harmful actions, for instance..
That the president has met not just some but most of these criteria should be alarming. Due to the advancing special counsel’s investigations, as well as growing criticisms, we are entering a period when the stresses on President Trump will accelerate and challenge his instability. There is enough evidence to be concerned that Mr. Trump is a danger to the public, specifically, his attraction to violence and war, incitement of violence in his followers, susceptibility to manipulation by hostile powers, detachment from reality when the truth becomes intolerable, seemingly paranoid responses, possible signs of cognitive deficits, and past escalations of irrational behavior in times of duress. To differentiate personal opinion from clinical perspective in working with individuals whose life choices differ from their own. How to assess when differences in philosophy may insurmountably interfere with good clinical practice, and how to recognize and deal with those instances. 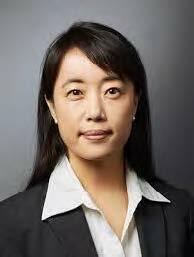 Bandy Lee, MD is an internationally recognized expert on violence. Trained in medicine and psychiatry at Yale and Harvard Universities, and in medical anthropology as a fellow of the National Institute of Mental Health, she is currently on the faculty of Yale School of Medicine’s Law and Psychiatry Division. She served as Director of Research for the Center for the Study of Violence (Harvard, U. Penn., N.Y.U., and Yale), co-founded Yale’s Violence and Health Study Group (MacMillan Center for International Studies), and leads a project group for the World Health Organization’s Violence Prevention Alliance. She has consulted with the governments of Ireland and France, as well as California, Connecticut, Massachusetts, and New York on violence prevention programming in prisons and in the community. She played a key role in initiating reforms at Rikers Island, New York City’s correctional facility known for extreme levels of violence. She has been teaching students studying to be public defenders and to become asylum attorneys at Yale Law School since 2003, and a Global Health Studies course of her design, “Violence: Causes and Cures,” since 2013. She has served as consultant to the World Health Organization Violence and Injury Prevention department, UNESCO, and other United Nations bodies, and as speaker to the World Economic Forum. Her interests are in global health approaches to violence prevention and multisectoral collaboration, and she currently leads a newly formed group called the World Coalition of Concerned Mental Health Experts that strives to identify, educate about, and ameliorate dangerousness in the world.